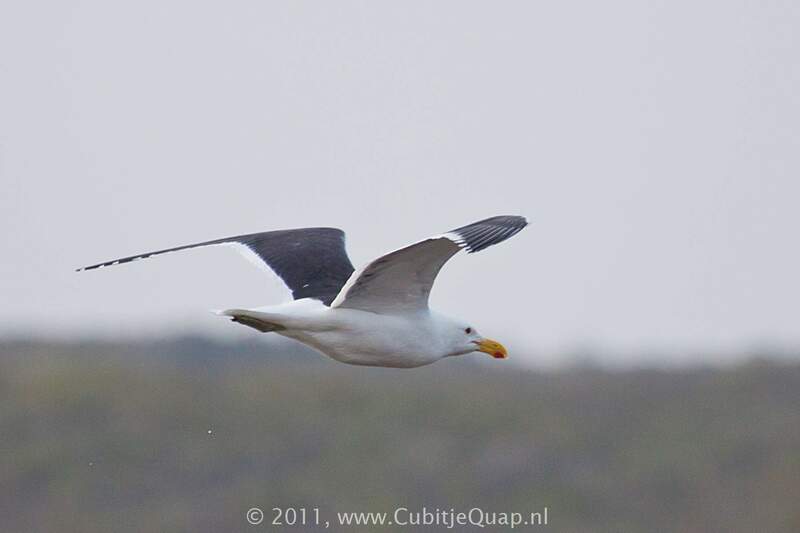 The largest resident gull of the region. 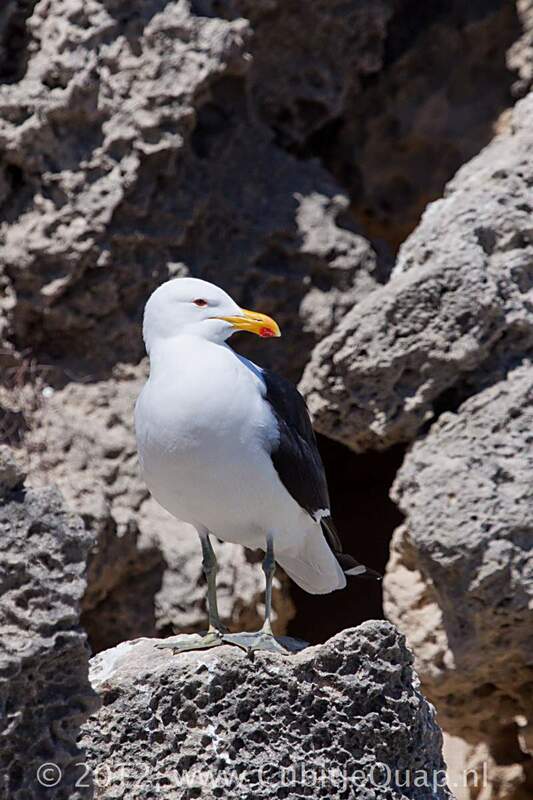 Bulkier than adult Lesser Black-backed Gull and has a larger bill, steeper forehead, and olive (not yellow) legs. 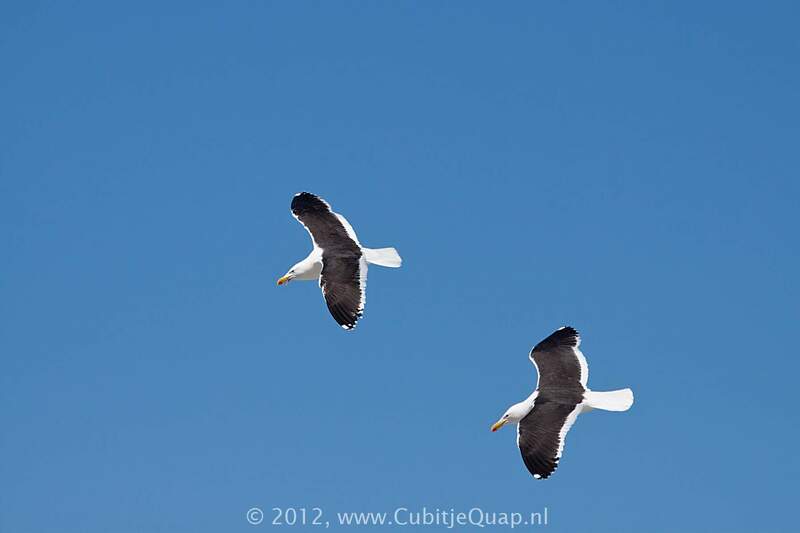 Sub-adult is further distinguished from sub-adult Lesser Black-backed Gull by its brownish (not pink) legs. They take 3 - 4 years to mature. Inshore waters, open coast, estuaries, harbours and dumps. 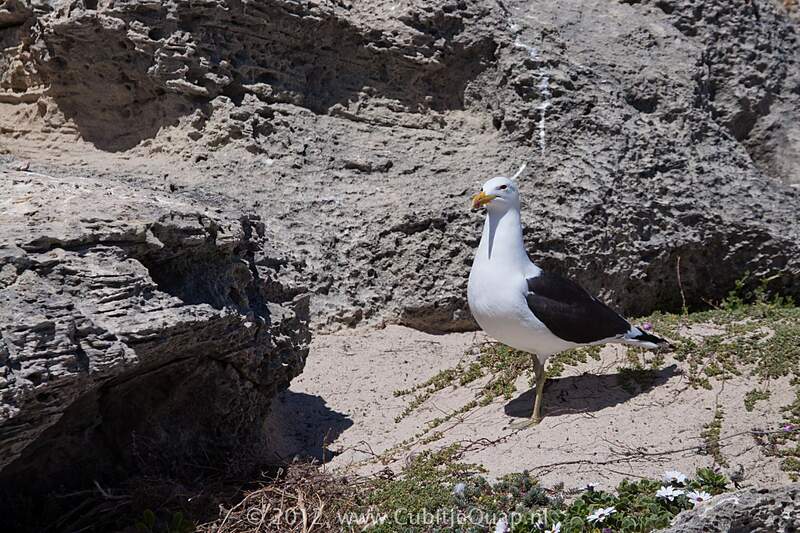 These birds feed largely on discarded food from behind trawlers and rubbish heaps. 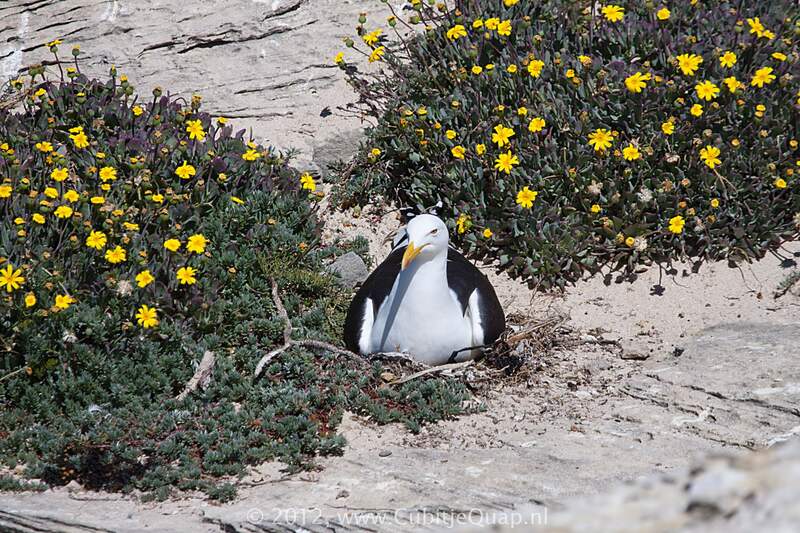 They also predate on eggs of penguins, terns, gannets and cormorants and even their own. For feeding the chicks, there is a red spot on the yellow bill of the adult, which the chick pecks on to stimulate regurgitation. A loud 'ki-ok' and a short, repeated alarm call, 'kwok'.